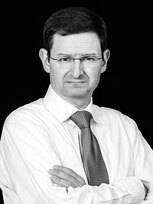 Alexander Ineichen is founder of Ineichen Research and Management AG, a research boutique established in October 2009 focusing on absolute returns, risk management and thematic investing. Alexander started his financial career in derivatives brokerage and origination of risk management products at Swiss Bank Corporation in 1988. 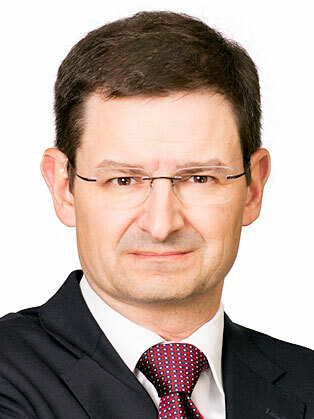 From 1991 to 2005 he had various research functions within UBS Investment Bank in Zurich and London relating to derivatives, indices, capital flows and alternative investments, from 2002 in the role of a Managing Director. From 2005 to 2009 he was in the investment committee of Alternative Investment Solutions, a fund of hedge funds within UBS Global Asset Management. Alexander is the author of “In Search of Alpha―Investing in Hedge Funds” (October 2000) and “The Search for Alpha Continues―Do Fund of Hedge Funds Add Value?" (September 2001). These two white papers were the most often printed research publications in the documented history of UBS. He is also author of two books: "Absolute Returns―The Risk and Opportunities of Hedge Fund Investing" (Wiley Finance, October 2002) and “Asymmetric Returns―The Future of Active Asset Management” (Wiley Finance, November 2006). Alexander has also written several research pieces pertaining to equity derivatives and hedge funds and contributed to several chapters to financial books. In November 2008 he also wrote "AIMA’s Roadmap to Hedge Funds" that was revised in December 2012. The paper was the most often downloaded document of AIMA’s website at the time. Alexander holds a Bachelor of Science in Business Administration with Major in General Management from the Universities of Applied Sciences in Business Administration in Zurich (HWZ), Switzerland. Alexander also holds the Chartered Financial Analyst (CFA) and Chartered Alternative Investment Analyst (CAIA) designations and is a certified Financial Risk Manager (FRM). He is on the Board of Directors of the CAIA Association. His extracurricular activities include art that he makes public on alexart.ch.